Motorola and Verizon give their top Android phones a much-needed upgrade today. It's a good day for U.S. Motorola Droid Razr and Droid Razr Maxx users on Verizon Wireless. 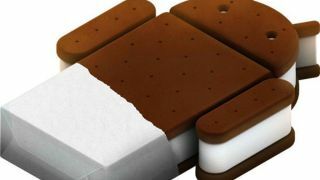 The carrier announced that June 22 is the day that Google's Android 4.0 Ice Cream Sandwich OS will roll out to the devices. Motorola's Droid Razr and Droid Razr Maxx have been stuck in the past for some time, but it was rumored as far back as December that the Android phones would eventually upgrade to Ice Cream Sandwich. At the time, it was reported that Razr and Razr Maxx users would wait "at least a month," but clearly that turned into half a year. Despite the delays, though, Razr and Razr Maxx users will no doubt be happy to have caught up with the current state of Android OS. The Android 4.0 ICS update for Motorola's Droid Razr line will bring plenty of improvements. The Droids will get improved video calls via a new Video Calling Icon, making it easier to access video chat applications. Verizon also reports that voice-to-text dictation will be improved, with users now given the ability to dictate punctuation, speak continuously for multiple paragraphs, and even correct mistakes mid-entry. Verizon is also stressing that the Motorola Droid Razr and Droid Razr Maxx are Verizon's first 4G LTE phones that are "Global Ready." Global Ready phones can access voice and data service in more than 220 countries, though an additional international plan is required. Google's Ice Cream Sandwich has been available on an increasing number of smartphones since late 2011. Motorola released demo videos last month showing off ICS on their devices, demonstrating new lock screen buttons for easy camera, text message and dialer functionality. Ice Cream Sandwich also brings Face Unlock, which gives users the ability to - you guessed it - unlock the Droid Razr and Droid Razr Maxx with their faces. Luckily, the phones won't open for just anyone's face, as the front camera recognizes the features of the phone's user, as well as his or her identical twins and/or doppelgangers.